DirectSens reached the first place in the category “High-tech” and the 2nd overall ranking at this year’s „GEWINN-Jungunternehmer-Wettbewerb 2016“. 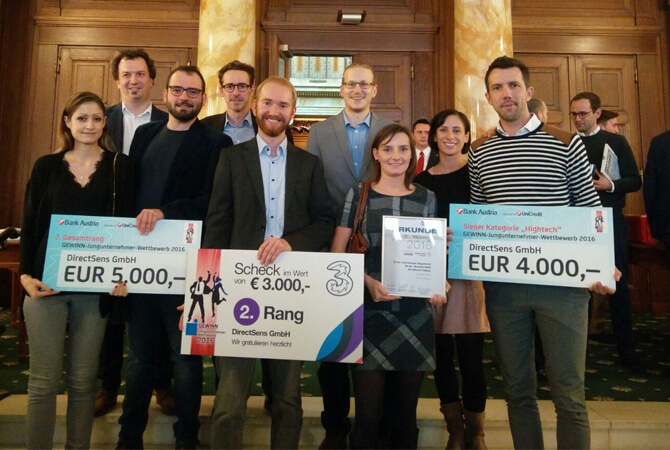 Within the scope of a festive event on 22 November 2016 that took place in the Festaal Oktogon of UniCredit Bank Austria, DirectSens GmbH, represented by the founders Alfons Felice, Roman Kittl and Christoph Sygmund, was selected as the winner of the category Hightech and the second overall ranking. In the presence of the sponsors Vice Chancellor Dr. Reinhold Mitterlehner and Environment Minister DI Andrä Rupprechter as well as the main sponsors UniCredit Bank Austria and Hutchison Drei Austria GmbH, the prizes were handed over to the best young entrepreneurs of the year from about 1,000 applicants. DirectSens develops biosensors for the measurement of sugars. With the lactose sensor “LactoSens”, which can be used to measure the residual lactose in lactose-reduced and lactose-free dairy products, a first product has already been successfully marketed. At the same time, the team is working on the development of an innovative sensor for the continuous measurement of the blood glucose in the skin, which will save Diabetes patients the annoying prickings in the fingertips and allow safe insulin therapy. 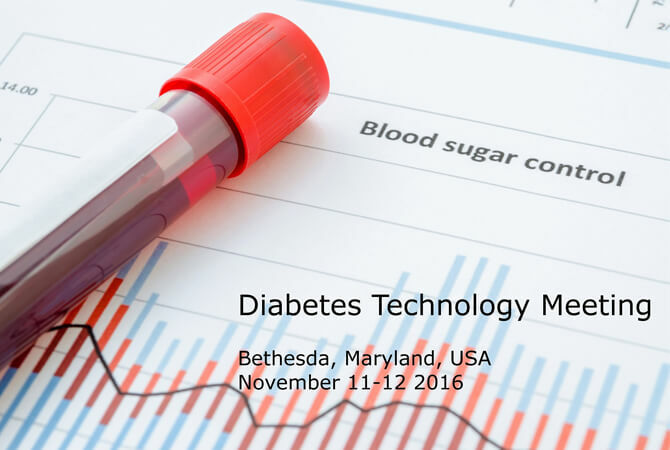 We present the latest results of our glucose biosensor development including first in vivo data at the 16th Annual Diabetes Technology Meeting in Bethesda, Maryland, USA. Meet us at our poster!